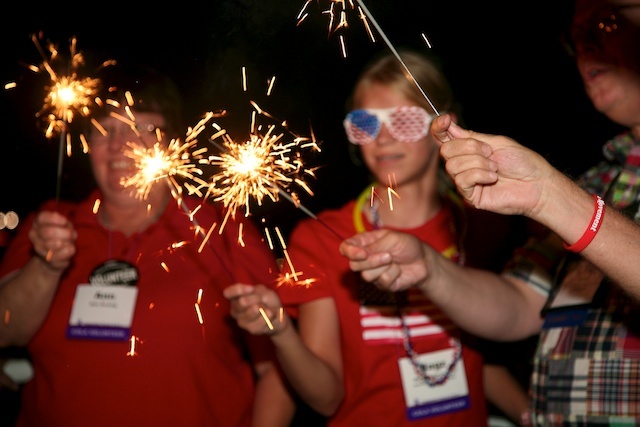 More #GA220 photos are available in my 220th General Assembly Gallery. As a ‘tentmaking evangelist’ photography is also one of the ways I earn my living. So, though I love to share my photos freely to help those not present get to ‘experience’ an event such as the Presbyterian Church USA General Assembly, I also exist in a world where I need to continue to fund that life. 1. You are welcome to order prints of any of the images from General Assembly (or other events) on my website. 2. If you are an individual/blogger please feel free to use any images for your blog, but please credit them. If you are a church/presbytery/institution/organization I am happy to discuss usage rights (for the web or print) and provide you access to high resolution images. Contact me at erindunigan (at) gmail (dot) com for more info. 3. If you’d like to hire me to come shoot images of your church/event/presbytery/organization I’m happy to discuss this with you. Contact me at erindunigan (at) gmail (dot) com for more info. It’s hard not to notice them–they’re everywhere in the riverside town of Pittsburgh. Bridges. Our shuttle from the airport brought us over one as we entered into downtown. From the convention center, where the 220th General Assembly of the Presbyterian Church USA is being held, you can see them whether you look to the left or to the right. It seemed to me, as I looked out over the river, that it is an interesting physical location, to be in a place, geographically, that demands bridges while of course being in a place denominationally that seems to need them so critically at this moment. Bridges, of course, don’t turn one side of the river into the other. Both ‘sides’ keep their distinction. But what bridges do is to allow those ‘sides’ to relate to one another, to have contact with one another, and to even travel back and forth between them. A bridge doesn’t change the fact that there are sides. A bridge by its very definition assumes the reality of ‘sides.’ But a bridge sure makes it a lot easier to navigate them than having to jump into the water and try to fight the current across. 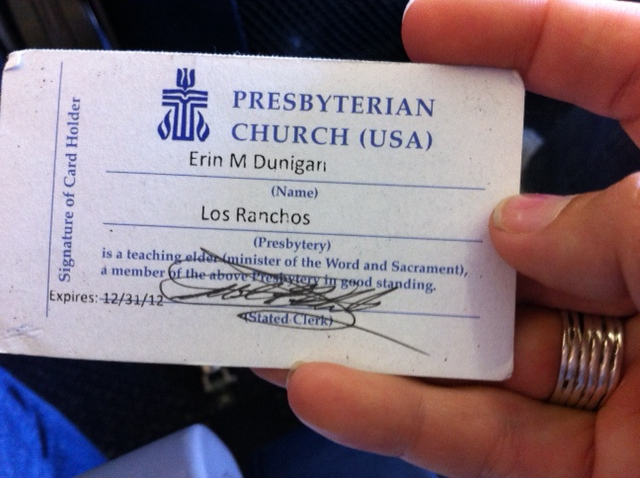 on #GA220 or, how did i become *that* person…? It struck me, sitting at LAX, waiting for my flight to Pittsburgh. What is this emotion I’m feeling? It’s one I’ve felt before. Oh wait, I know what it is…giddy. Giddy? Yep, giddy. That was not the disturbing part, necessarily. The disturbing part was the object of the giddiness, which, I realized, to my astonishment, was the Presbyterian General Assembly. Yes, of course, I do say that somewhat in jest. But as a ‘West coast Presbyterian’ (it’s own breed…just ask Tod Bolsinger if you don’t believe me) admitting one’s excitement at attending the national gathering of Presbyterians is something like admitting to wearing socks with your flip flops. It is just not done–at least not publicly. But I realized, in my pondering, that giddy is exactly the right word. The thing is, this will be my fourth General Assembly. Compared with many who will be in attendance, that makes me a new kid on the assembly. But, it’s also long enough to have gained an understanding of ‘perfecting the motion’ and ‘amending the perfected motion’ and other such GA speak. For the fourth time, I will be reporting on the Assembly (with the Presbyterian Outlook) and photographing it, attempting to ‘capture’ the experience for those who are not having the giddy privilege of attending. In the Presbyterian circles in which I was raised, General Assembly was, at best, something to be tolerated, but never to be celebrated. If anything, it was the tangible representation of a top heavy institution that was concerned about its own survival and out of touch with what was ‘really happening’ in the world, and rife with political infighting. Plus, it was stuffy and somewhat geeky. It is not that those accusations are entirely false—the Presbyterian Church is, after all, an institution, and as such, it, at some level, has to be concerned with its own survival. The assembly can be somewhat geeky, in that ‘decent and orderly’ presbyterian way. There can even be moments of stuffiness. And, yes, political infighting seems to be the way of the world—in the church just like in the wider culture. Because this gathering, since my first attendance in Birmingham, Alabama in 2006 (I came back early from Europe to attend, which should have been my first warning), has also come to represent, for me, friendship, community and a sense of common mission and purpose, even in spite of our ‘differences’ that we seem so intent on trying to amputate from the body. I love seeing people, those who have become friends, that I interact with on twitter or facebook but only see in person every two years. I love observing the, yes, nerdy presbyterian process at work, and marveling that I am a part of this institution, even as I often find myself at the far outlying boundaries of it. I love that there is such a concern for the world and its people—that is what the fighting, I would hope, really boils down to—a love that wants the best, even as it disagrees as to what the best actually is. So, here I find myself. In Pittsburgh. And looking forward to soaking in the Presbyterian punch. At least for a week.